Welcome to Aressco, your hometown locally-owned electronic security service provider. For more than 40 years, Aressco has provided security and video surveillance systems to thousands of customers throughout Dade, Broward and Monroe counties. We understand that excellent service and experience is what sets us apart from our national competitors. That is why we make every effort to provide same-day service to all of our clients in the tri-county area. Our technicians have the professional experience to install, maintain and monitor security systems, with the flexibility to meet your specific needs. 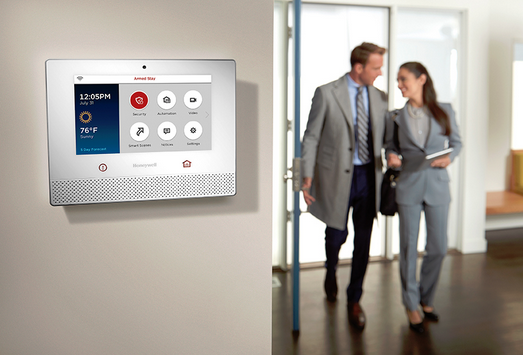 If you would like a customized security system installed in your home or business, you've come to the right place. We don't profess to know which door or window to protect, as do many of our competitors. Installing three door contacts, and a motion detector is not for everyone. Each of our systems is designed to meet our client’s unique needs. Your installation will be done by our factory-trained technicians, who are all employees of Aressco; no subcontractors are used. Commercial insurance companies often insist on a certificated burglar alarm system prior to issuing coverage. If your business needs a higher level of security, we offer certificated systems to meet those insurance requirements. If you have an existing security system, and are unhappy with the level of service you are receiving, consider switching to Aressco. New equipment is seldom required. Our technicians simply reprogram your existing equipment to our local central station. To provide same-day service, Aressco stocks replacement parts for most all of the systems we service. We monitor and service all major manufacturers of alarm equipment. Electronic security is a rapidly-changing industry, and at Aressco we offer you the latest technology in high-definition video surveillance systems, from a simple nanny-cam installed in your home, to a multi-camera, HiDef digitally recorded, network-viewable system. 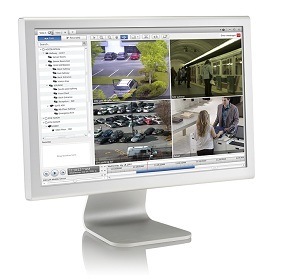 As with all our systems, each surveillance system is designed by our security specialists to meet your individual needs.